A refuge is a safe house where women who are experiencing domestic violence can stay free from abuse. Refuge addresses (and sometimes telephone numbers) are confidential. There are over 500 refuge and support services in England, Scotland, Wales and Northern Ireland. You can choose (subject to space and availability) whether you travel a long way away from your home town, or remain in the same area. Some refuges have space for many women and children, and some are small houses. 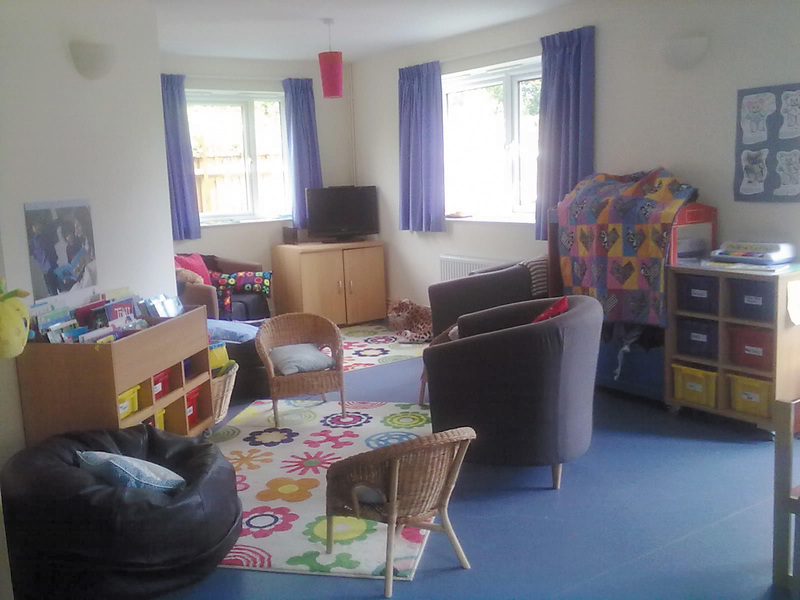 Many refuges have disabled access and staff and volunteers who can assist women and children who have special needs. If you have children, you can take them with you. You will be expected to cook for yourself and your children. It is up to you and the other refuge residents whether or not you share cooking or eat together at mealtimes. You can be as self-contained or as sociable as you want to be. You will be asked to sign a license agreement which will include the terms under which you can stay in the refuge, (including the rent to be charged) how long you can stay and any necessary rules to ensure the safety of yourself and other residents (for example, regarding the use of alcohol or drugs, confidentiality, visitors, etc). Who can go into a refuge? Any woman who needs to escape from domestic violence or abuse can go into a refuge at any time. It does not matter whether or not you are married to or living with your abuser, or whether or not you have children. How do I arrange refuge accommodation? You can either call MK ACT during office hours or call the National 24-hour Domestic Violence Helpline. You should be able to go into a refuge on the day that you call. You can’t usually book accommodation in advance, nor will you always be able to find refuge space in the location of your choice. If you decide you would like the Helpline to arrange refuge space for you, you will be asked for your name (you only have to give your first name if you prefer) and the ages of any children who are with you. You will need to give a telephone number on which you can be called back when accommodation has been found for you. This can be a telephone box, as long as it takes incoming calls, or a mobile phone, or it could be at a friend’s house, a health centre or any other safe place where you are able wait for any return calls. When refuge accommodation has been found for you, a member of staff or a volunteer from the organisation will discuss with you how you can get there. They may arrange to meet you at their office or somewhere else which is easy to find. If they do give you the address and the location of the refuge, it is important that you keep this information to yourself, and that you take care not to leave any of this information behind (thus enabling your location, or the address or telephone number of the refuge, to be traced). What can I take with me to the refuge? Birth certificates for you and your children. School and medical records, including the telephone numbers of the school and your GP or surgery. Money, bankbooks, cheque book and credit and debit cards. Keys for your house, car, and workplace. Driving licence (if you have one) and car registration documents, if applicable. Prescribed medication, and vitamin supplements. Cards or payment books for Child Benefit and any other welfare benefits you are entitled to. Passports (including passports for all your children if you have them), visas and work permits. Copies of documents relating to your housing tenure, (for example, mortgage details or lease and rental agreements). Family photographs, your diary, jewellery, small items of sentimental value. Clothing and toiletries for you and your children. Your children’s favourite small toys. Not everyone will need all of these items, and there may be some items that you would need to take that have not been included in this list, but this is a general guide. If I leave a refuge, can I go back? Yes, in most cases. If you choose to leave the refuge but later need safe accommodation again, you and your children will be able to go back, either into the same or another refuge, depending on space and availability at the time you need it. If you were asked to leave a refuge because you broke the terms of the license agreement, it may not be possible for you to return to the same house. You may be referred to refuge accommodation elsewhere, or another safe place will be found for you. You can also use the refuge organisation for information, friendship and support when you are no longer a resident. What about my permanent housing situation? You can return home from the refuge at any point. You may decide to return with an injunction. You may decide you want to be re-housed elsewhere. The choice is yours, and refuge workers will give you information about the various options in order to help you to decide what you want to do. They will also help you to get advice regarding joint property and mortgage agreements. Do not agree to sign any documents relating to the tenancy or ownership of your home until you have taken legal advice.